We’ve been doing another round of de-cluttering around the house post-Christmas, we go by the usual system – three piles for keep, throw out and donate. Many charitable organizations rely on the public’s donations in order to support themselves and whilst donations are always welcomed and encouraged, there are a few items that should not be placed in the donation pile. We also thought this would be relevant because of the holiday period that’s just passed, I estimate many people are also in the midst of de-cluttering a little bit. 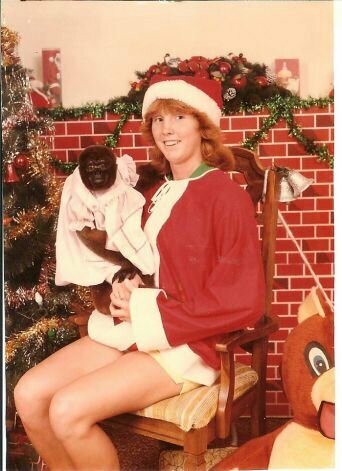 We have noticed quite an influx of unopened or almost new items laying around at our local op-shops, I assume these to be unwanted Christmas gifts – which is unfortunate. I am thankful though that they are being given a second chance rather than ending up in landfill. Soiled or damaged undergarments – it may be surprising to some of us but this is very common. Be carefull when donating these items, for sanitary reasons there are very specific guidelines about which ones can be put up for sale. Ideally these would be hardly worn, or new and they should always be clean – most of the people who work at op-shops are volunteers, they don’t want to be going through piles of crusty strangers underwear. Toys – Toys can be tricky as they have to be inspected to make sure they still have all their parts before selling. If the sorter has not come across this toy before it can be difficult to make a judgement on this. The main thing to keep in mind is Op shops are not dumping grounds, it may save you $$$ by avoiding charges at the local tip, but all you are really doing is passing that cost on to others who are not responsible for it. You’re better off making use of local hard rubbish services in the area, or listing things like electrical goods on eBay. The op shop you give these things to is paying a significant amount of money every year to remove our unusable/unsaleable items which are dumped at the front of the shop or in their bins. 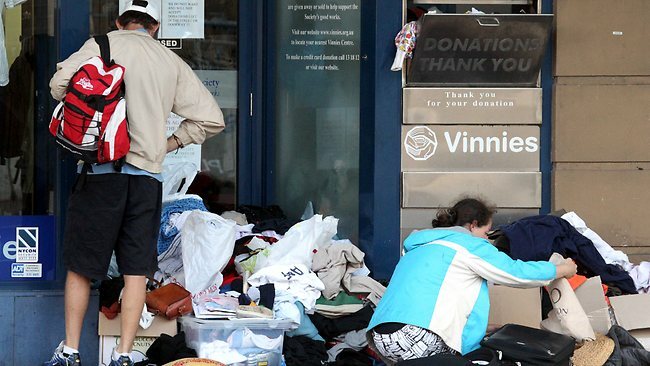 We have many op shops around us and its frustrating to see the loads of stuff left on their door steps every night, we have also noticed that passers by often come down after the shops are closed and go through these bags – taking them for free and making even more mess for volunteers to clean up. Do you have any advice on giving to op-shops? or alternate ways of getting rid of things? 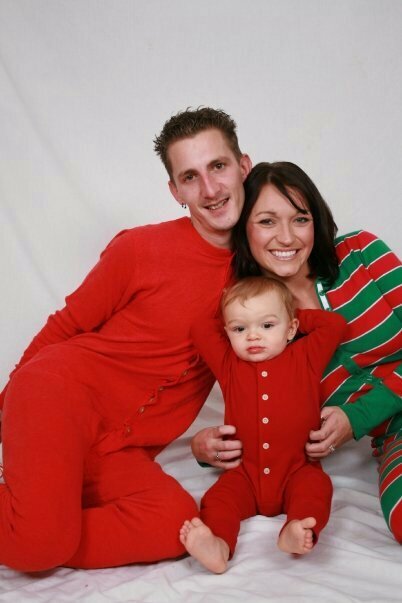 Reactions + Gift Ideas we love day fourteen! ‘well if you have that as a rule you may as well buy a Porsche and claim it under safety‘. That statement has stuck with me for both it’s humour but also to remind me not to overstretch my limits, for instance when we first started BNN I had a slip up when I convinced myself I had to buy a new lipstick and that was ok because I get chapped lips. Truthfully I did not need that lipstick and I have worn it only a hand full of times since. BNN has taught me to simplify things, yes I could buy that lipstick (just like how I could buy a Porsche)… or I could make do with the jar of paw paw cream in the cupboard. I’m not saying I can’t buy lipstick, BNN is our journey and we will do with it what we want but having the gift of hindsight has taught me that stepping back and taking a more simplistic view of things can often provide a longer lasting satisfaction than cluttering my life with stuff….or lipstick ever will. 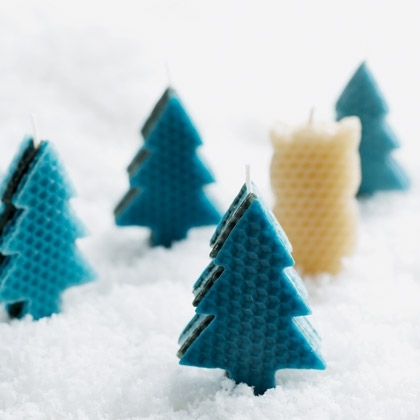 I have decided it is now officially last minute gift time… What about candles?? Also did you know you can re-use old candle wax to make new candles?! 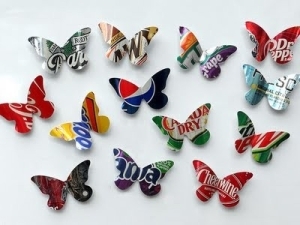 Big Pop originally came up with this idea when she was studying community care and used it for one of her assessments. 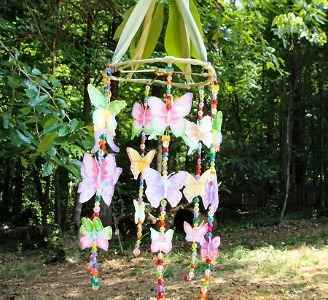 We both really like the idea and have donated these to market stalls to be sold occasionally. 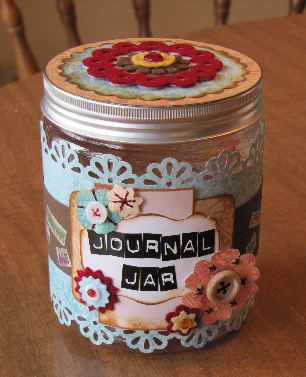 Journal jars are a creative way to encourage someone to start slowly keeping a journal. The idea behind this jar is that you take out one prompt a day, paste it to your journal page and write a response to the prompt. 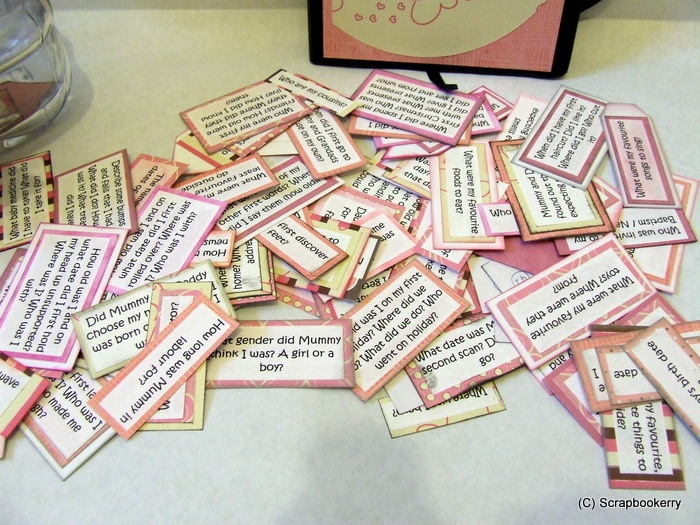 The prompts are able to be used in group settings to encourage discussion and also make great gifts for all ages. Fold journal prompts or roll around a pencil then place in the jar. If the phone were to ring right now, who would you want it to be? What would be the perfect autumn day? If you could choose a different time period to live in, when would it be? Name any life changing books you’ve read. Character traits you think others admire in you. 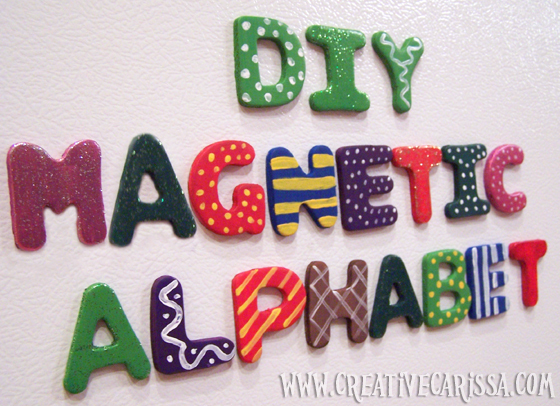 Kids need to learn the alphabet at some point in their busy lives, why not make it fun with these cool alphabet magnets! 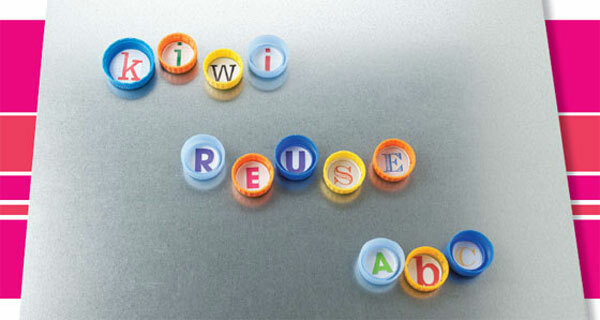 This first one is done by Ellen Goldberg from Kiwi Magazine it recycles old bottle caps by turning them upside down and inserting letters. If I was to make them I would stick to plastic caps because the metal ones can be rather sharp… Although depending on your child’s age they might be too small. I was trying to think of something larger that is less likely to be swallowed and I thought maybe collecting the Spring Valley juice lids, they are metal but larger and without the sharp bits that are on most glass bottles. 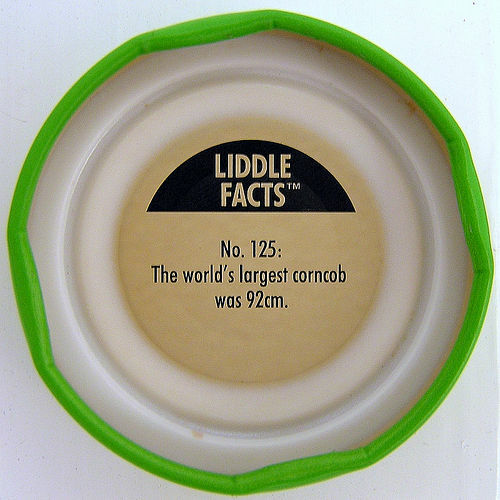 If you did accumulate enough Spring Valley lids to make an alphabet set you would also get the joy of reading all the cool facts under the lid! 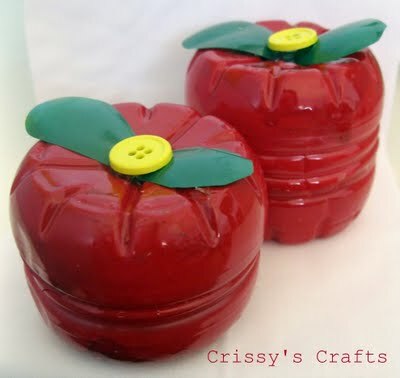 I thought they would make a really cute stocking filler maybe put inside one of these gorgeous recycled plastic bottle apple containers! Cute aren’t they! These could be used as packaging material for so many small gifts you may be giving out this Christmas… why not give them a go? We don’t really drink soft drink in our household but I know plenty of people who do. Aluminium cans can take up to 200 years to decompose and I’m pretty sure we are consuming them at a much faster rate then they are being broken down which is highly unsustainable. 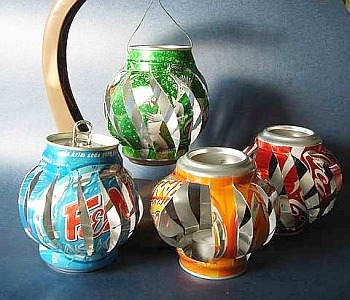 Like I’ve said in previous posts I really like the idea of trying to give products a second chance at life before being put in the recycling, or worse – the bin.I try to do this wherever possible and todays post is about ways we can re-use old soda cans and bring them a new lease on life. I’ve chosen the best tutorials that are not too hard but also really nice to look at, something you can look at and be proud of upon completion. These would also make lovely gifts, particularly for those who love to be out in the garden as most of these would look great as garden ornaments too. 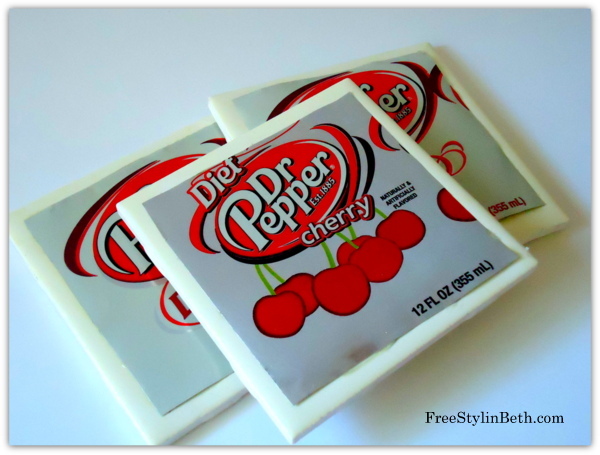 These look really cool and are seriously easy to make. I can see these being great as decor outside in a patio or entertaining area.They are pretty simple to make, essentially you cut a few slits in the side of the can then give it a little push down to split them apart, full tutorial here. Zoo membership – Melbourne Zoo has a great membership program that allows you to have access to all three zoos (Healesville Sanctuary, Melbourne Zoo and Werribee Open Range Zoo) as well as reciprocal entry to selected interstate zoos and a few other perks including discounted tickets to their twilight concerts they hold during the warmer months. Museum Victoria – This ones pretty cool you get unlimited general entry to Scienceworks, Melbourne Museum, the Immigration Museum as well as various museums and cultural educational centres in other states. Youth Hostels Australia – Great for travellers! The mholder of the membership gets at least 10% off accomodation costs at YHA hostels all over Australia + member rates worldwide. They also get discounts of travel gear, insurance and flights. Glamumous has written a really useful post with 101 household tips for every room in your home, there are so many storage solutions here and lots of natural cleaning remedies too. Eartheasy has written a nice article with tips on how to have a ‘green’ christmas. 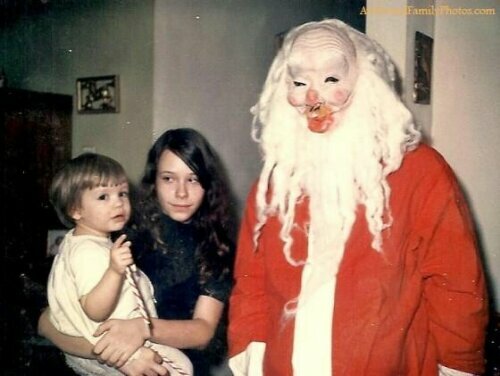 There are some really nice little suggestions here and some new traditions I hope to introduce to our christmases to come. 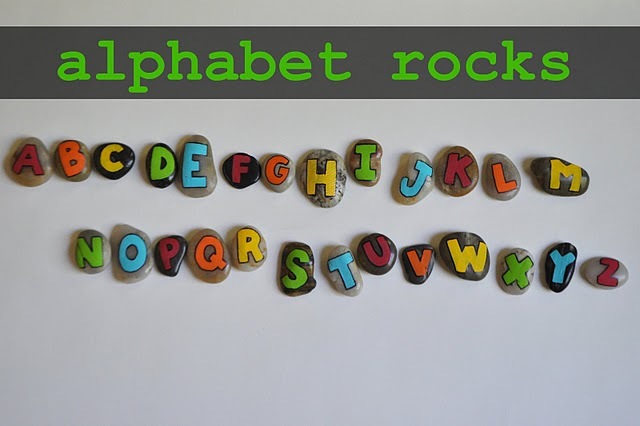 …just make sure it doesn’t look like these!